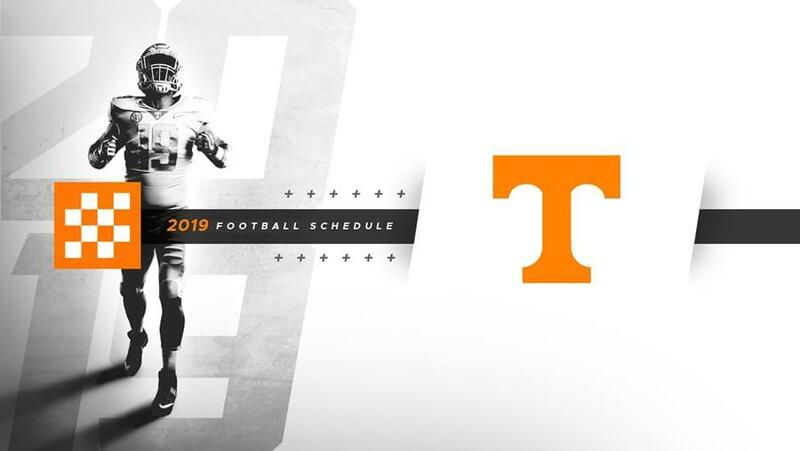 BIRMINGHAM, Ala. – Eight games at Neyland Stadium, including the first-ever meeting with BYU and a matchup with Mississippi State for the first time since 2012, highlight Tennessee’s 2019 football schedule. The SEC released complete schedules for all 14 conference schools on Tuesday. Tennessee opens the season on Aug. 31 against Georgia State before hosting BYU on Sept. 7 and Chattanooga on Sept. 14. The Vols travel to Gainesville to face the Gators for their SEC opener on Sept. 21 before the first of two open dates on Sept. 28. Tennessee welcomes Georgia on Oct. 5 and hosts SEC Western Division foe Mississippi State on Oct. 12. It’s the Vols’ first game against the Bulldogs since 2012, and the first meeting in Knoxville in 10 years. The third Saturday in October (Oct. 19), of course, has UT traveling to Tuscaloosa to face Alabama. The Vols host South Carolina on Oct. 26 and welcome UAB on Nov. 2, before an SEC road clash at Kentucky on Nov. 9. Following an open date on Nov. 16, Tennessee wraps up the regular season at Missouri on Nov. 23 and versus Vanderbilt in Knoxville on Nov. 30. The SEC Championship Game will be played on Dec. 7 at the Mercedes-Benz Stadium in Atlanta. Fans interested in tickets for the 2019 season can call 865-656-1200 for more information. Aug. 31 | Georgia State | Knoxville, Tenn.
Tennessee will open the season in the month of August for the first time since 2014…Tennessee has won 23 of its past 24 home openers. Sept. 7 | BYU | Knoxville, Tenn.
Sept. 14 | Chattanooga | Knoxville, Tenn.
Tennessee has won 14 straight games against in-state non-conference teams and possesses an all-time record of 71-3-2 against those schools. Sept. 21 | at Florida | Gainesville, Fla.
Each of the past two meetings between Tennessee and Florida in Gainesville have been decided on the game’s final play. Oct. 5 | Georgia | Knoxville, Tenn.
Tennessee will have an open date the week before playing Georgia for just the second time since 2007…The Vols’ most recent win over the Bulldogs, in 2016, came when quarterback Josh Dobbs found wide receiver Jauan Jennings for a 43-yard Hail Mary touchdown with no time remaining. Oct. 12 | Mississippi State | Knoxville, Tenn.
Oct. 19 | at Alabama | Tuscaloosa, Ala.
Tennessee will be looking for its first win in Tuscaloosa since 2003 – a 51-43 five-overtime triumph. Oct. 26 | South Carolina | Knoxville, Tenn.
Nov. 2 | UAB | Knoxville, Tenn.
Tennessee has hosted UAB three times since the 2005 season, more than the Vols have hosted any other non-conference team during that span…Tennessee was also scheduled to play the Blazers in Nashville to open the 2015 season, but UAB cancelling its program caused UT to find another opponent for that game. Nov. 9 | at Kentucky | Lexington, Ky. The Vols had back-to-back 50-point games against the Wildcats in 2014 (50-16) and 2015 (52-21), and nearly made it three in a row with a 49-36 win in 2016… The game in 2019 will mark the 115th meeting between UT and UK, dating back to 1893 – the most games Tennessee has played against any opponent all-time. Nov. 23 | at Missouri | Columbia, Mo. 2019 will be the first time that Tennessee has ever faced Missouri coming off of a bye week…Tennessee’s 63 points against Missouri in 2016 are the most the Vols have scored since 2009. Nov. 30 | Vanderbilt | Knoxville, Tenn.
Tennessee has been playing Vanderbilt longer than any other opponent with the first matchup coming on Oct. 21, 1892…The 2019 game will be the 113th meeting in the series.